This ain't your everyday average stone crab. 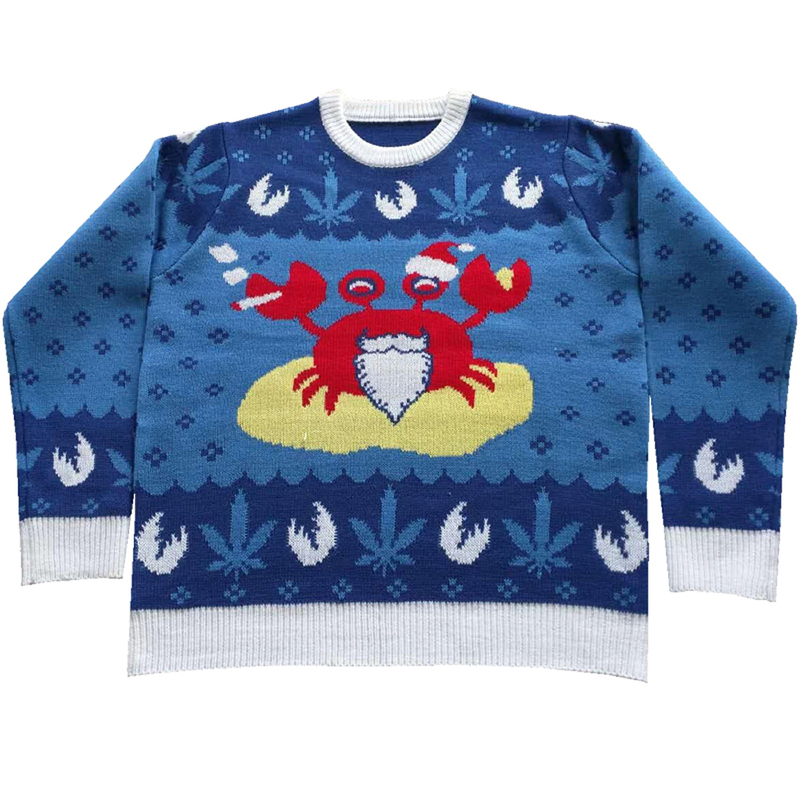 This is Mistah Sandy Claws the stoned crab. 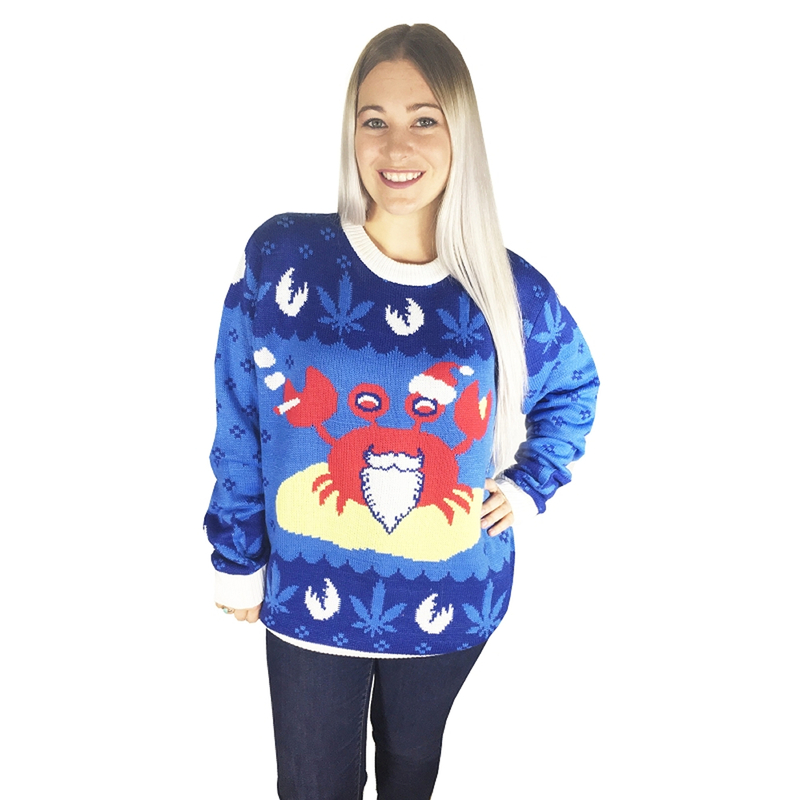 The Mistah Sandy Claws Ugly Christmas Sweater is comprised of different shades of blue with white trim. Sandy Claws is smack dab in the middle of the sweater sparking up his Christmas gift. 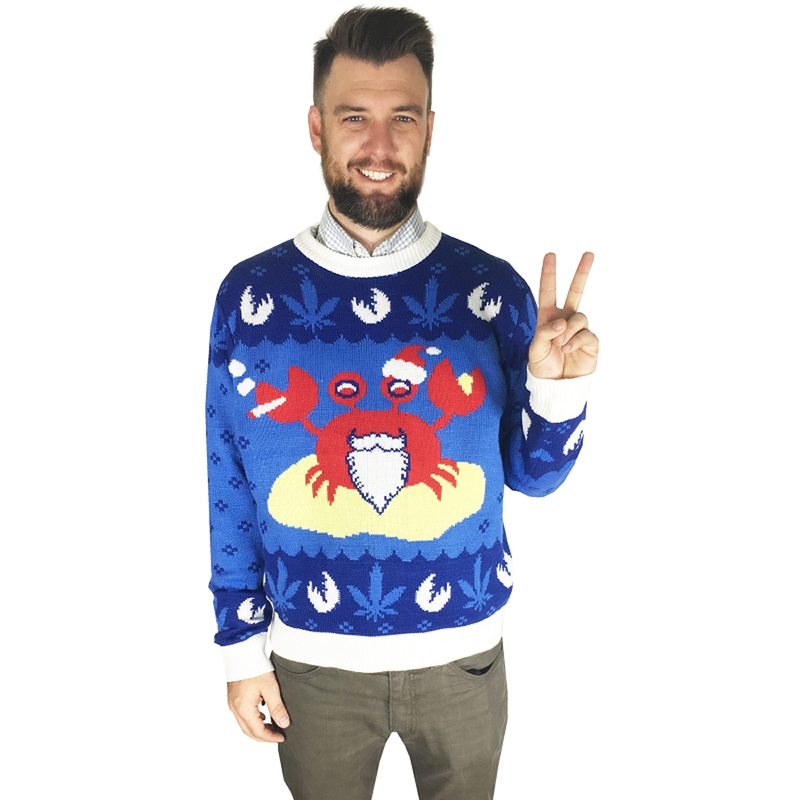 He's surrounded by cannabis leaves and lobster claws. He's totally in the Christmas spirit with his Santa hat on, the beard and mustache, and bloodshot eyes that are more red and velvety than Santa's suit ever could be.